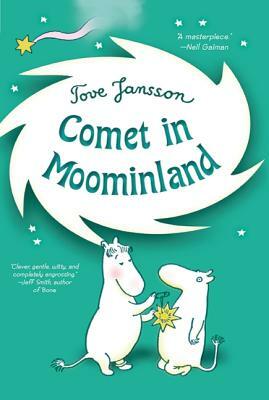 When Moomintroll learns that a comet will be passing by, he and his friend Sniff travel to the Observatory on the Lonely Mountains to consult the Professors. Along the way, they have many adventures, but the greatest adventure of all awaits them when they learn that the comet is headed straight for their beloved Moominvalley. Tove Jansson (1914-2001) was born in Helsinki and spent much of her life in Finland. She is the author of the Moomin books. Born into an artistic family--her father was a sculptor and her mother was a graphic designer and illustrator--Jansson studied at the University College of Arts, Crafts and Design in Stockholm, the Finnish Academy of Fine Arts, and L'Ecole des Beaux-Arts in Paris. In addition to her Moomin books, she also wrote several novels, drew comic strips and worked as a painter and illustrator. In 1966, she was awarded the Hans Christian Andersen Medal for her body of work. Jansson had a studio in Helsinki but spent most of her time at her home on a small island called Klovharu.